Learn how to install and use Kali Linux, the most popular OS used by cyber security experts all over the world. Hello DIY hackers, welcome to your very first tutorial on Cyber Security. 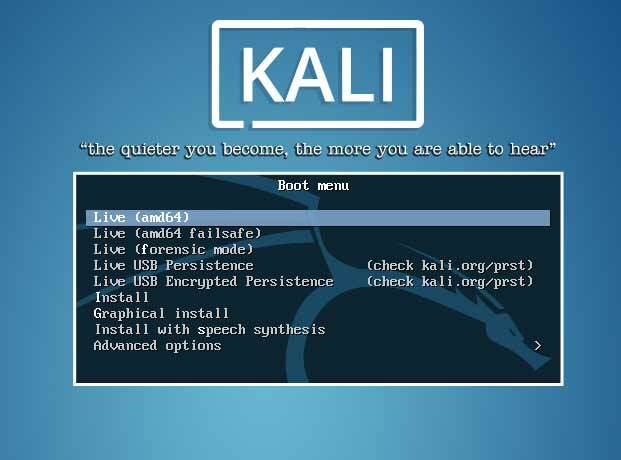 So what is Kali Linux? Kali Linux is the most popular OS used by Cyber Security experts all over the world. So if you want to get into the world of Cyber Security and Ethical Hacking, Kali Linux Installation is the first step for you. 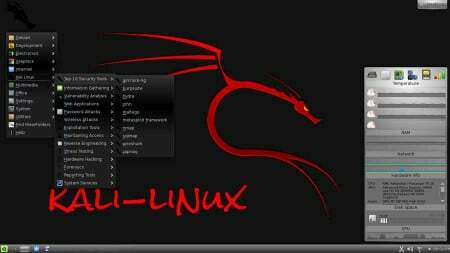 Kali Linux is a Debian-based Linux distribution aimed at advanced Penetration Testing and Security Auditing. Kali Linux contains several hundred tools which are geared towards various information security tasks. Such as Penetration Testing, Security research, Computer Forensics and Reverse Engineering. Lets start with our Kali Linux Installation! Select anyone from 64bit and 32bit. 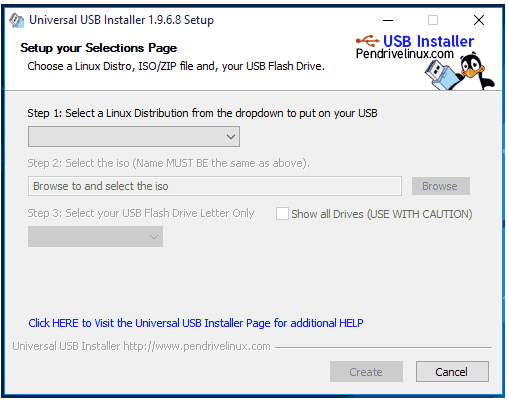 Download and install Universal USB installer. 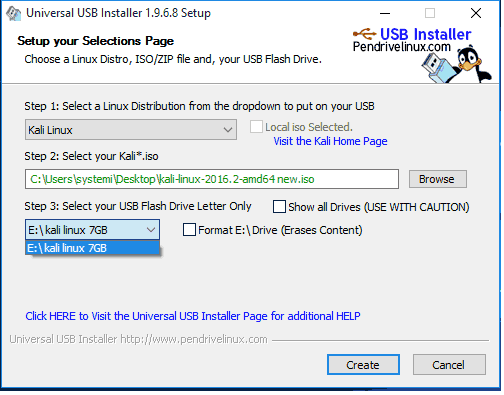 Select a Linux Distribution, here we will select Kali Linux from the drop down menu. In the installer, step 2, browse the kali lSO file which you have downloaded. And in step 3, select the USB drive. Click create and wait for few minutes. Shut down your computer, and open boot options menu (in some systems it opens with F8 or F10, or other special buttons). 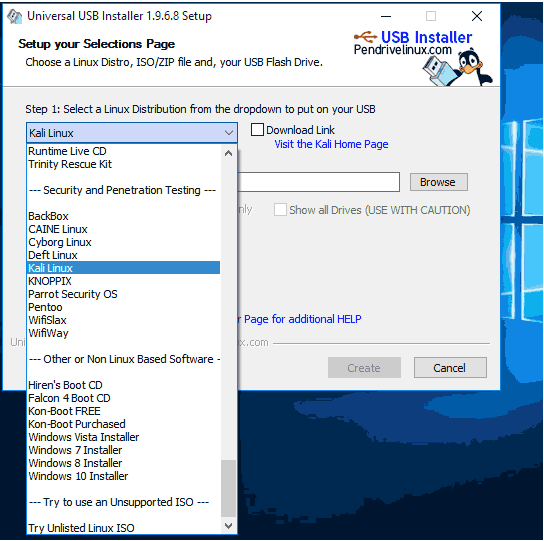 Then select USB drive from boot options. Select first option LIVE (amd64), and enjoy. Here you are running kali linux on a USB drive. And that's it, you have just completed the first step to becoming an expert in Cyber Security. Hope you were able to launch it using this Kali Linux Installation tutorial, otherwise just post your comments below. This guide has been intended to consolidate the best learning resources on the web for beginners on DIY Cyber Security. You can also connect with me on our online Slack channel to get more guidance and check out DIY Hacking's cyber security tutorials to become an expert.